Democrats need to embrace the senator’s populist policies and rhetoric. But if Hillary Clinton does not run, or if she runs poorly, does that mean that there will be no woman bidding for the presidency? In addition to the men whose names get tossed around—Vice President Joe Biden, New York Governor Andrew Cuomo, Maryland Governor Martin O’Malley, former Montana Governor Brian Schweitzer and some have even suggested Vermont Senator Bernie Sanders (though he proudly sits as an independent) —there are a number of prominent Democratic women whose names have surfaced as potential contenders: Minnesota Senator Amy Klobuchar, New York Senator Kirsten Gillibrand and, above all, Massachusetts Senator Elizabeth Warren. Pressed on whether that was a “definite no,” Warren replied: “No, no, no, no, no”—adding another “no” for emphasis. Circumstances change over the long arc of America’s endless campaigns. Frontrunners decide not to make races, or stumble along the course of the campaign. 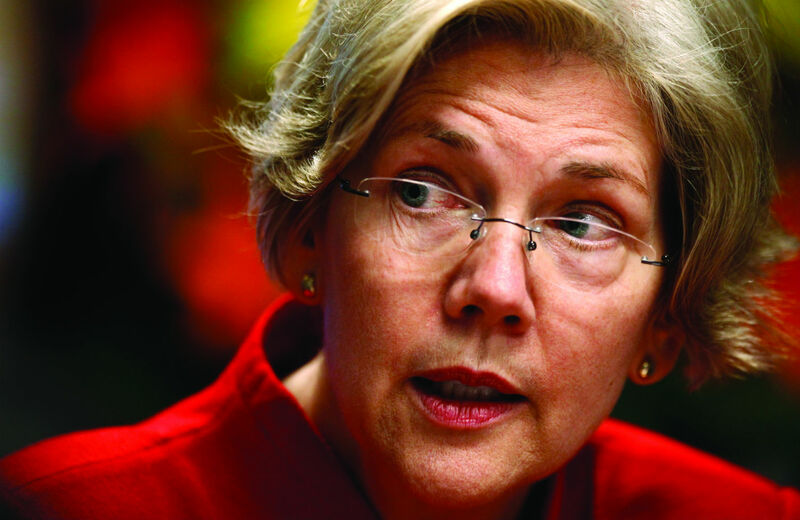 There are a fair number of progressives who would love to see Warren take on Clinton. There are even more who want her at the ready should Clinton drop back or fail to gain traction. What is appealing about the prospect of a Warren bid—against Clinton or in a race without Clinton—is the determination of the Massachusetts senator to reach far beyond the traditional space filled by centrist and even liberal Democrats. She goes to where Bill de Blasio went in a progressive populist bid that swept him into New York’s mayoralty with an almost fifty-point margin of victory. Warren’s message, in the Senate and beyond, is that Democrats can and should have an economic agenda that speaks to the great mass of Americans. And when she delivers it, as she did at last summer’s AFL-CIO convention in Los Angeles, she can and does sound like a very appealing presidential prospect. Warren, the country’s best-known advocate for regulation of Wall Street and the big banks who conceived and organized the establishment of the US Consumer Financial Protection Bureau before her election in 2012 to the US Senate, kicked off the labor convention an address that was equal parts William Jennings Bryan, Mother Jones and Franklin Delano Roosevelt. It wasn’t just the energy of Warren’s speech, not just the unapologetic stance and the clenched fist in the air. While too many Democrats come across as mere spectators to the great political and economic battles of what Mitch McConnell and Paul Ryan would make an age of austerity, Warren chose the opening night of the labor federation’s convention that she is prepared not just to fight but to lead. But the real muscle of Warren’s speech, the element that had The Washington Post saying it “reinforced the potential Warren has for higher office,” was a refusal to bend to the lie of austerity and the conventional wisdom that says there is no alternative to cuts and compromises with the corporate agenda. Warren recognizes something that too many prominent Democrats—not just in the Clinton camp but across the leadership ranks of the party—have a hard time fathoming. The problem is not that Democratic party is too populist. The problem is that the party is too cautious when populism is called for. The battlelines for 2016 have yet to be drawn. The race is not over; in many senses it is not even begun. And the voice of Elizabeth Warren, as a presidential candidate, as a prospective presidential candidate, as a vice-presidential prospect, as a non-candidate seeking to influence the direction of her party and the greater campaign, is a vital one. Indeed, she is providing the language that populists, progressives and, hopefully, Democrats will employ—no matter who is running in 2016—to take on and finally defeat the false premise of austerity. John Nichols shows how the “Scott Walker effect” reveals political trends in 2013.